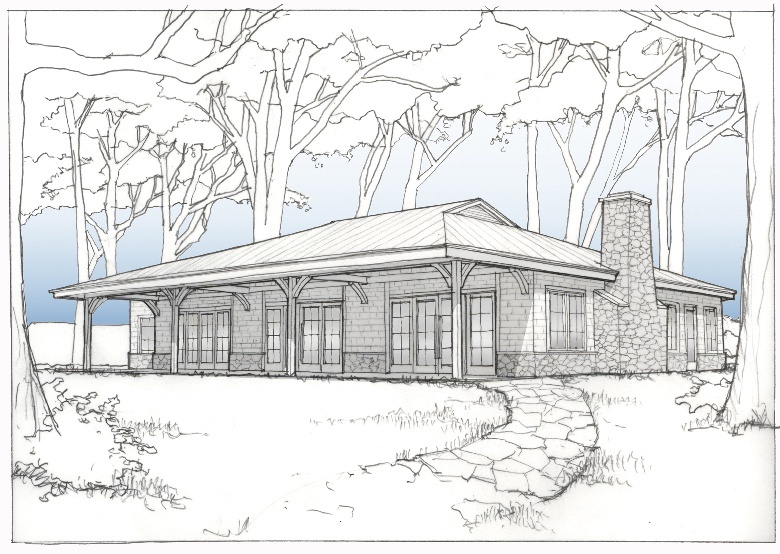 The building is a proposed design for a new senior center, located on the site of the oldest grove of oak trees in the state of Connecticut, overlooking a scenic lake. An attempt was made to keep the scale of the building as modest as possible whilst creating a comfortable and expansive interior gathering space. An existing fireplace and chimney are refurbished and reemployed, and a sheltering porch faces the lake. Natural lodge-style materials are used throughout.